The Grand Café of the Stadsvilla is the central meeting place in the villa. 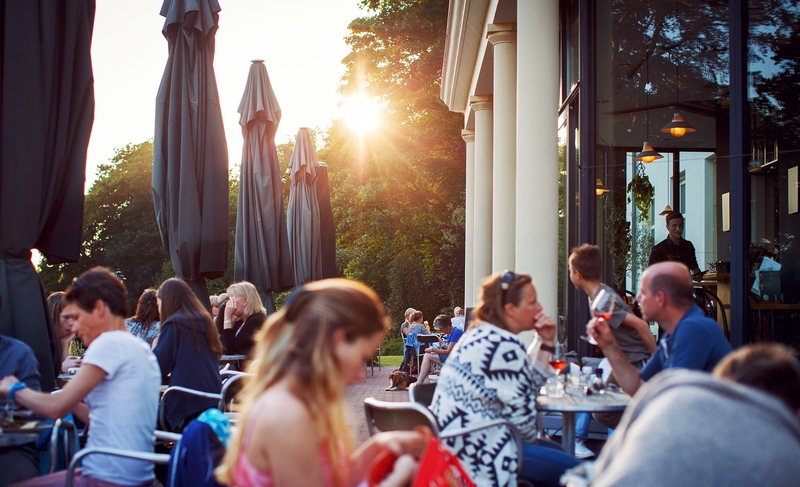 The terrace is the entire year a good place to sit and relax and enjoy the view over the park and the city of Arnhem. In the dark and months you can enjoy a cozy candlelit dinner. The Grand Café serves a monthly changing menu. Vegetables play a central role in the menu.